Are you looking for professional Drupal developers? Adroitte is the right place to address your every requirement. As one of the leading web design and development companies, we provide exclusive Drupal development services. We guarantee a total support in every stage of the project lifecycle. From project analysis to performance testing, we have done it all under this powerful CMS. Our team of dedicated professional will offer you customized Drupal solutions in web development, mobile application development, and other support services. Having 5+ years of valuable involvement, we have sufficient skills to produce professional solutions through this open-source CMS. Innovation, quality, teamwork, the three methodologies along with the latest technology has enabled us to successfully serve a large client base. Our pricing structure will only welcome your interests. 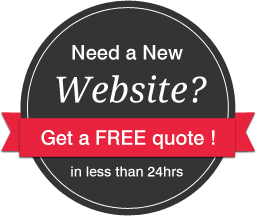 We provide comprehensive web design and development packages to go with your budget. Get follow-up on a regular basis, be in the loop, and be with the development. Your time and budget will be well-coordinated with your preferences. Looking to hire Drupal developers for your next project? Get in touch today.